So far booking.com was my default choice for accommodation bookings for all my trips. Few years ago, I had done some research and had found that Booking.com almost always offered lowest rates and best terms, so I didn't have to look elsewhere. I was directly booking on booking.com subsequently without doing too much research. But some recent experiences have shaken my faith in booking.com. I wouldn't go to the extent of saying "Don't use booking.com" as they are still better than other alternatives, but I would be more careful from now. 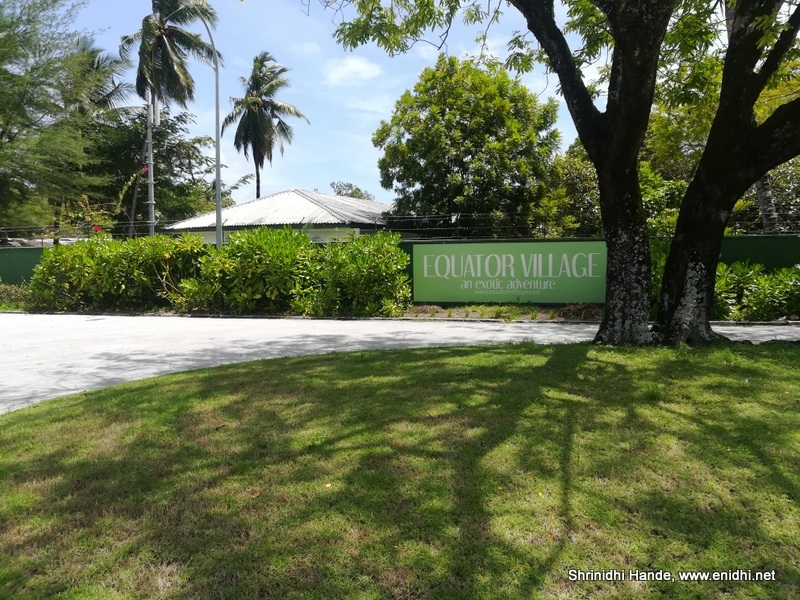 I booked Equator Village Resort in Gan Island Maldives way back in Feb 2018 for Stay in October 2018. Generally there’s a saying that booking early helps you save a lot- but in reality it is not. Back in Feb, I was to pay INR 10000+ per night for a room in Equator village resort. Thankfully I always book a free cancellation fare, so don’t have to worry so much. Equator village resort is deemed as one of the best places to stay in Gan Island, so I decided to try it for a night. INR 10+ was beyond my budget but decided to splurge as there wasn't much to do in Gan Island. My faith in Booking.com was shaken- I need to keep tracking the prices, else I will be ripped off. Most hotels drop prices as check-in date comes closer- particularly if occupancy is low. Things got worse in Early September- because of rupee losing value against USD, same booking would now cost me about 15500 + tax, a total of 17000+ for 2 nights. I felt it is not worth spending so much, so after much deliberation and thoughts, booked a much cheaper place-Fahi Inn for Rs 4500 for 2 nights. They had another property in Gan Island- Jazeera, which had a street photo and called itself a motorhome. It was cheap at 2000 Rs a night, so I booked it for a night- but then they have a mandatory airport transfer fee of Rs 1500 which I didn’t need. I messaged property to confirm if we can be excluded from this airport transfer, they didn’t confirm. Asked them to share photos of the property- they didn’t respond. When I asked if their's is a motorhome I was told it is a homestay- a conflicting information than what was listed online. I raised a complaint in booking.com asking them to confirm if the hotel is operational, if other guests have stayed here. Didn’t get any response. This was strange, as they used to respond to complaints/queries earlier. Not sure what is going on at booking.com HQ- may be they are cutting costs by removing support staff or have developed a don’t care attitude. Booking.com has a provision for us to send a message to the property- but unfortunately, when you will have multiple messages over time with the property, there is no provision to see the conversation within booking.com app or website. We have to filter property messages from email and read. This is highly inconvenient. The app meant for property owners on the other hand, has all messages and reply maintained in one place (I saw in the phone of a property owner in Srilanka). Booking.com should provide all interactions with a property in one place within app. Few of my bookings were via AirBnB- AirBnB needs payment upfront- which is not as convenient as Booking.com (which has Pay at property option) but AirBnB promises full refund if cancelled within specified limit. So not a big risk. 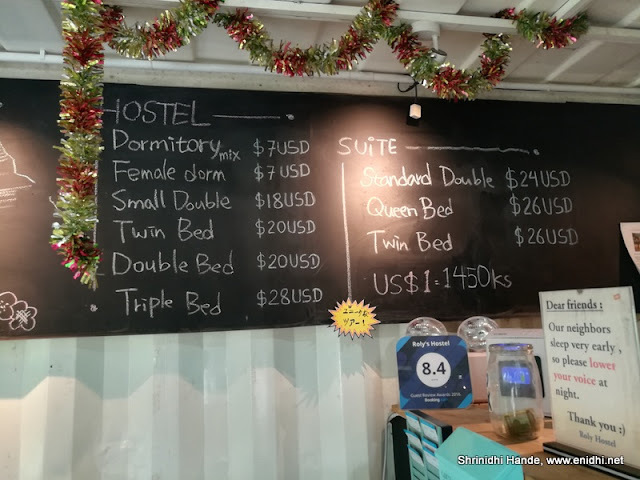 Even AirBnB Rates are expensive- in Yangon, Roly Airport hotel costs only 7 USD per night- but my booking of same bed cost me about 12 USD on Air BnB-obviously AirBnB prices are on the higher side to factor their commission. If we can deal with property directly we can save more. Overall, Booking.com and AirBnB continue to offer much better service compared to the likes of MMT, Yatra etc. Indian OTAs adapt wide range of tricks like cashbacks, wallet cash and so on to get more business, but there’re always some complicated fine print which renders the cashback/wallet cash not worth the trouble (For example, MMT gives 500 Rs wallet cash on purchase of 20 Rs chips packet- but to use this 500 Rs you’ve to spend at least 10000, that too at often inflated prices.- I like it when service providers keep it simple, straight forward, honest- too much complications turn me off) However I would now be more cautious than before to check price fluctuation at multiple times and in multiple places. Most Indian travel portals take forever to pay the hotel operators while customers need to pay immediately to book. This creates lots of conflicts. Thus pay at property and free cancellation option on booking.com is much better, even if it costs a bit more compared to non-refundable option. For Gan island Maldives, it appears AirBnb has much larger number of choices-mostly homes offering a bedroom. Booking.com had very limited and expensive options. Very well written. My experience is also similar. Good to know about your experiences and observations. Well I have been booking regularly rooms either directly or through Booking.com or through known sources. Once booking.com confirmed that we need to pay at the hotel but for formality sake they wanted credit card details I gave them the number correctly but in somebody else's name. They tried to encash which got rejected. I got in touch with the property directly and undertook Net Banking to ensure booking. So guys never give your credit or debit card number to them. Yes, some properties do try to charge the card- but very few- generally it has been fine. This is a good write up beneficial for everybody booking online. Booking.com has made some significant changes to its policies and the most annoying one like you mentioned is pricing. I make sure to compare the prices on at least 4 different sites before booking now a days. Sometimes i found rates on goibibo are less than MMT and booking.com.